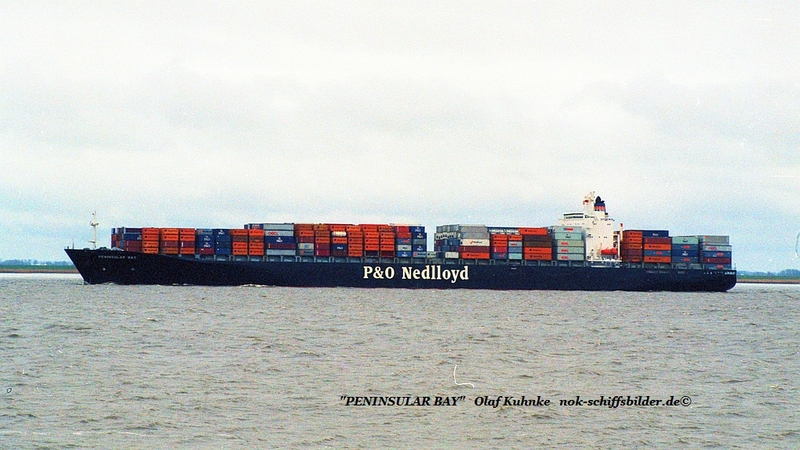 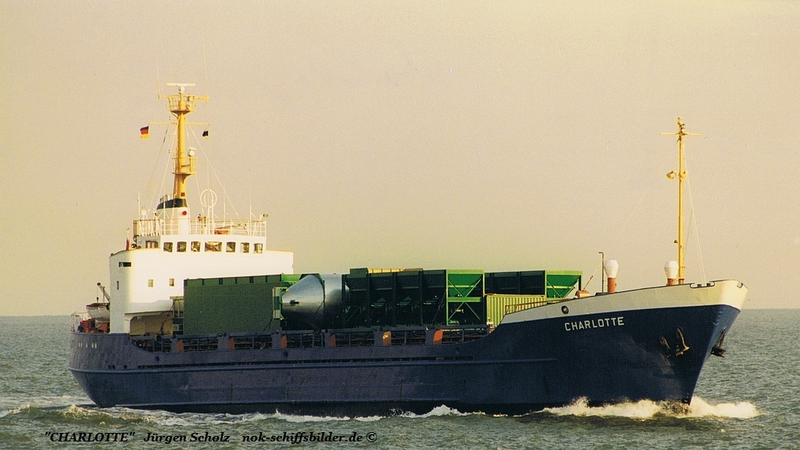 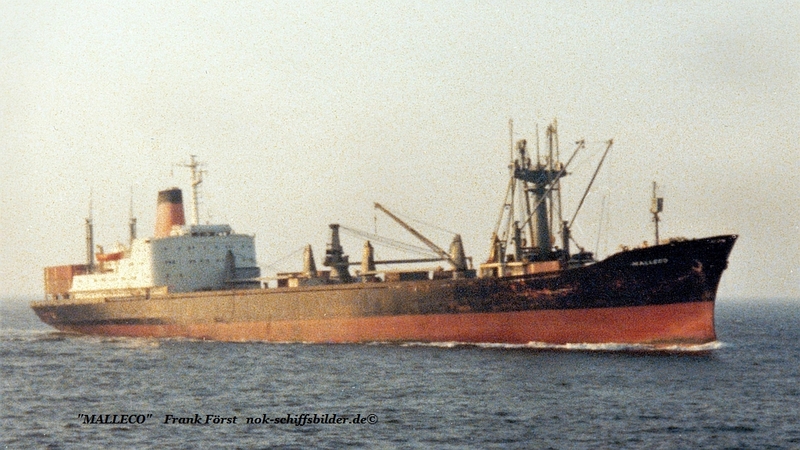 General Cargo Ship (Ref)|(Ex). 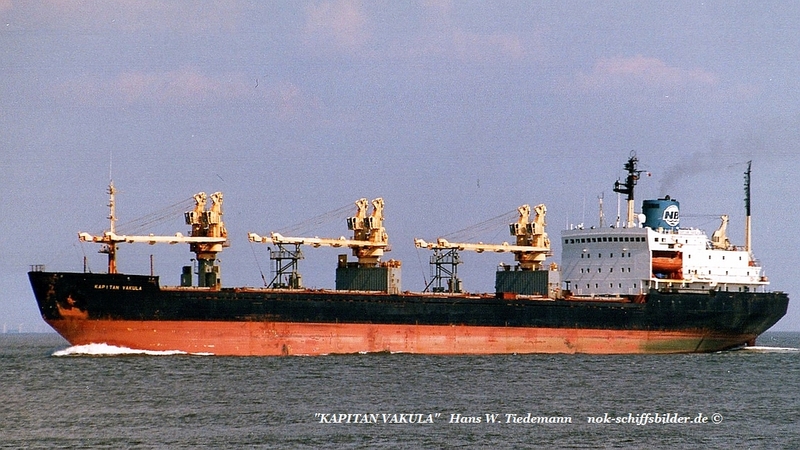 Name's: TALABOT -->79 NEW DAWN - 80 MALLECO| Status: Broken Up- Chittagong 09.04.1992 by H.Steel|Last Owner: Cia Sud-Americana de Vapores Valparaiso|Year of build :1967|Builder/ Place:Mitsui/Tamano (JPN)| Yard No:774|DWT: 15612/12545 GT|Length oa: 168.3/24.4 m Beam. 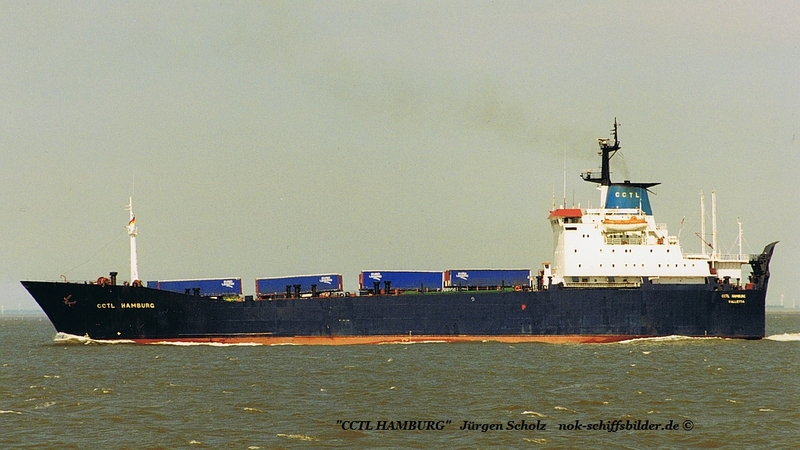 General Cargo Ship | (Ex)- Name's: ARISTODIMOS (Carga Transpacifica Nav. 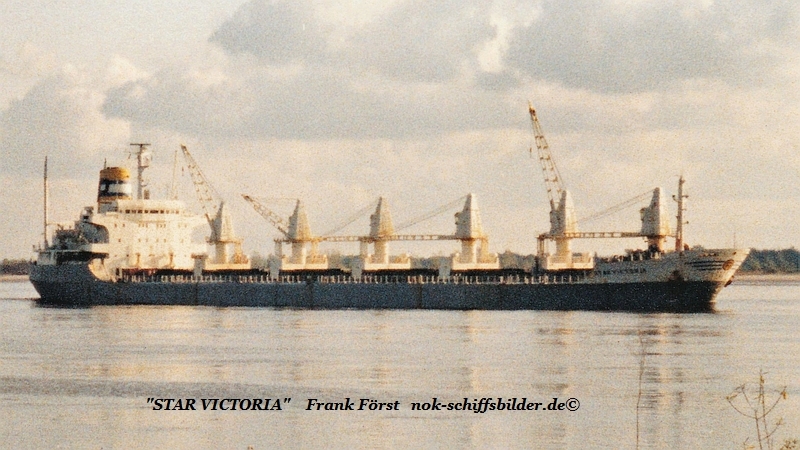 SA. 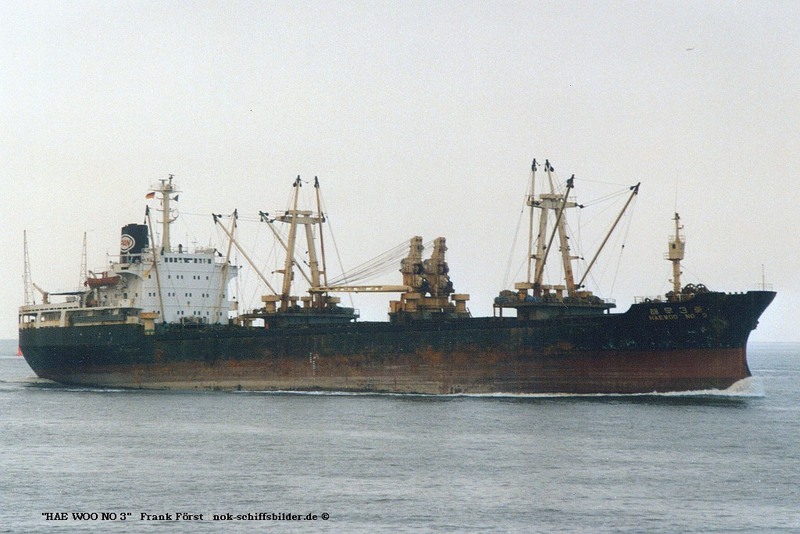 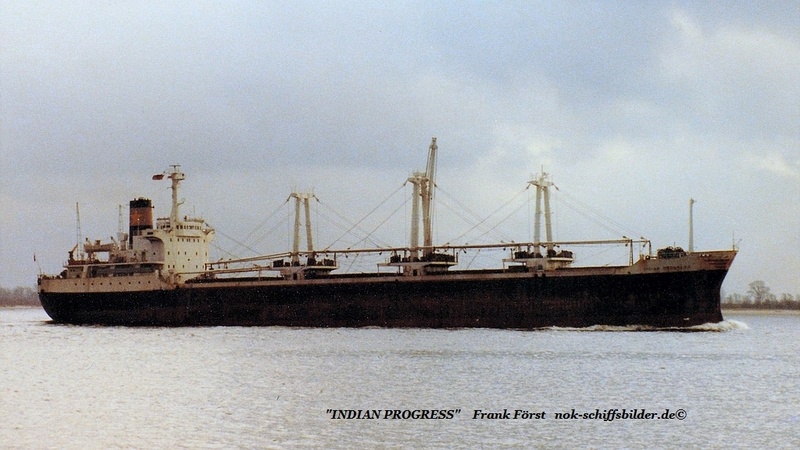 Piraeus)-->74 INDIAN PROGRESS (India SS Co.. Ltd. Calcutta)|Status: wrecked Karanji Is, Mumbai 19.06.1996->Broken Up-Mumbai 1997|Year of build: 1971|Builder/ Place:Mitsui/Osaka (JPN)|Yard No:888|DWT: 17959/11722 GT|Length oa:147.7/23.0 m Beam| Main Engine: B&W/ 6.914 kW/15 kn. 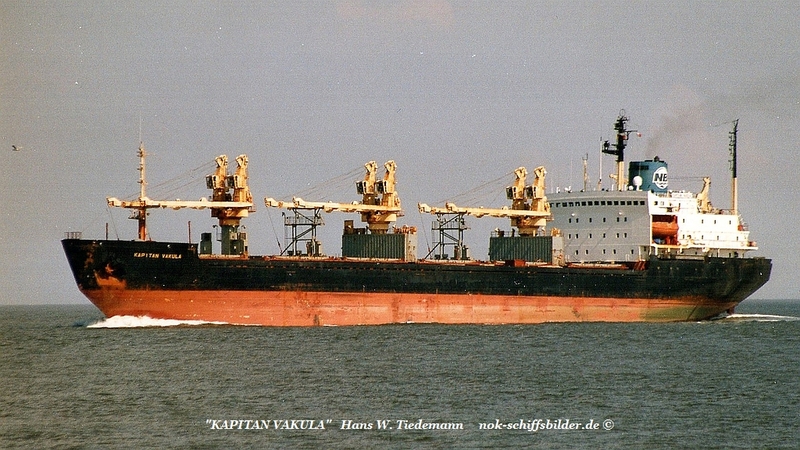 "KAPITAN VAKULA" Elbe Cuxhaven 07.08.1997|Type of ship :Bulk Carrier|NOK Ostermoor 18.07.07/IMO number : 8326321|Ship manager:NB MARITIME MANAGEMENT CYPRUS John Kennedy Street, Limassol CYPRUS|Call Sign :P3NE5|GT :14141|DWT :19240|Length overall: 162.1 m|Beam: 22.9 m|Draught:10.2 m|Main Engine: 8 Cyl/ DMR- MAN/11200 bhp/14.5 kn|Year of build : 1983|Builder/ Place: VEB Warnowwerft/ Warnemünde (DDR)|Yard No: 152 (Design:UL-ESC II)|Status of ship :Broken Up- Alang 6.12.12, by Nagarsheth Shipbreakers. 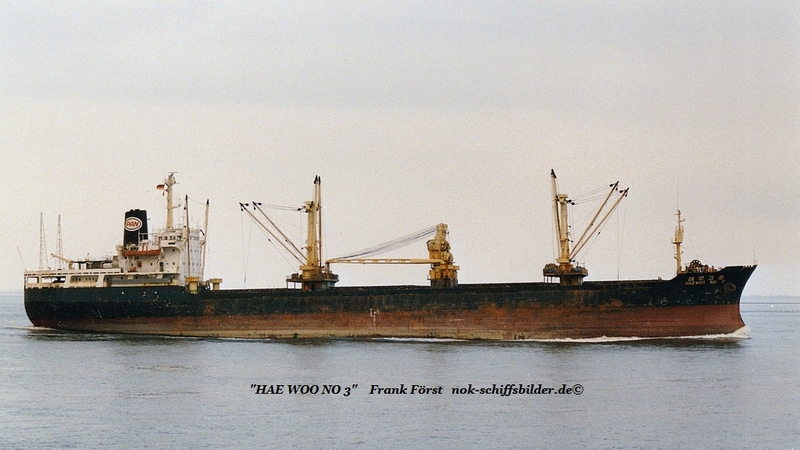 Brunsbüttel (Elbe) 2000|IMO number : 8808628| (Ex).